The reaction of the Catholic hierarchy to the news yesterday that a federal court has declared California’s Proposition 8 unconstitutional has been, predictably, negative. After all, the hierarchy, aided by over a million dollars from the Knights of Columbus, worked so furiously to get Proposition 8’s constitutional ban against marriage equality passed into law. 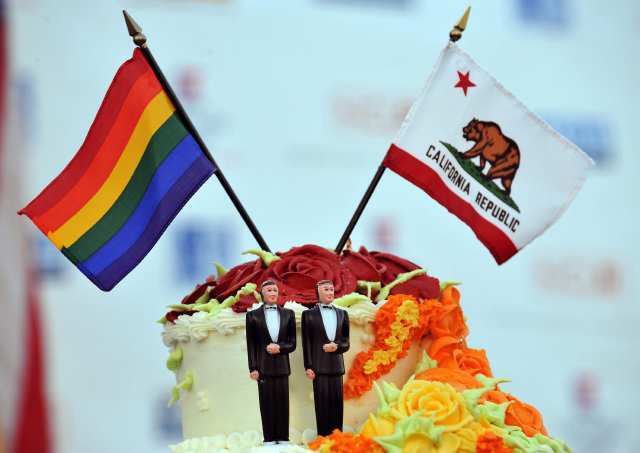 Though this case temporarily provides a victory for the marriage equality movement in California, there is still work of reconciliation work to be done in the Catholic Church there. In a post two weeks ago, I mentioned that a California friend told me that the hierarchy’s heavily funded campaign to pass Proposition 8 has had a harmful effect on the pastoral life of LGBT Catholics and their allies in California. Many have become alienated from the church and left it because of the vociferous anti-gay nature of the campaign and its rhetoric. While the hierarchy has been focused on the political nature of the marriage debate, it’s time that they started to look at the pastoral component of it, too, and begin the much needed work of reconciliation–for the good of the entire church. I don’t know….maybe we should first try explaining to people that thousands of years ago marriage was a political movement, not religious one and Jesus never really said that all men must marry women and live together on Pine Drive in a nice house with a picket fence? From my perspective, the Catholic Catechism needs to be changed and other forms of regulation in other denominations also need serious revisions. If you examine them closely, you find that Jesus didn’t teach many of the things we hold so tightly and defend to the death today — one of them being this marriage issue. It’s sad that the Buddhists and Taoists understand Jesus more than we do. They just don’t go where we go with some of this crazy nonsense.